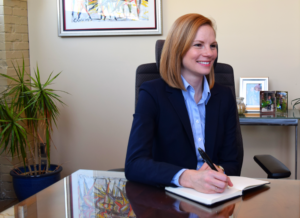 State Auditor Nicole Galloway says her office’s audits have discovered more than $130 million in government waste, fraud, abuse and mismanagement. “We have uncovered actions that have led to 30 criminal charges against public officials and, at times, the resignation or removal of corrupt officials from office,” says Galloway. Last year, former Dunklin County public administrator Shawnee Trowbridge resigned following the results of a state audit that found she used other people’s money to purchase personal items including pet supplies and fuel. In 2016, a state audit also uncovered more than $316,000 in fees that were incorrectly charged to Missourians by several of the state’s municipal courts. They miscalculated for things like warrants, bonds and booking fees. Several municipalities and courts also did not pay the state the correct amount for traffic ticket revenue. A state audit last year also found that the Department of Higher Education’s lack of oversight has contributed to $5 million in unpaid student loans. The department did not correctly track or monitor records for its Advantage Missouri program, which allowed forgivable loans to students who agreed to work in high-demand Missouri jobs. Galloway says approximately 2,000 students received this type of loan. The audit determined that about 65% of them had outstanding loans. Galloway, a Democrat, was appointed in 2015 by former Governor Nixon to replace Tom Schweich, a Republican.